It is said that the word "angel" comes from the Latin "angelus," which is borrowed from the Greek "angelos." In Arabic the word is "malak" or "malaak," plural "malaa'ikat." The Arabic root verb "alaka," which means "to give a message," confirms the angel's etymological connection to the function of Messenger of God in the Semitic languages. The existence of angels is one of the pillars of belief in most religious traditions and that is the case in Islam also. 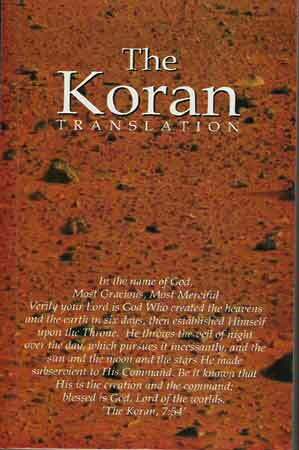 God mentions the angels in the Holy Koran in more than ninety different places. They also occupy prominent places in the narrations of the Prophet Muhammad, Peace be upon him, and the many accounts of saints and the pious men and women of the recent past and present. The following pages are an all-too-brief selection of some of the accounts and explanations that have reached us from those three sources. This day is specially remembered because of a Muslim colleague Ahmad bin Seliddin at Tengku Abdul Rahman College, Setapak. He informed Kash's father over the walkie-talkie that he had received a call from the Sentosa Clinic confirming that his wife had delivered a baby boy. This co-worker then added these words, "You are a blessed soul. Your son has been born on a very auspicious day." Kash's father thanked him repeatedly because it was his first-born, and a son. Little did he realize that the simple words of a humble Muslim congratulating him for a birth on the holiest day of the Muslim calendar had set in motion one of the earliest Sure Signs of Allah. Two years later Kash's mother gave birth to another son, Shahwinder in 1982. Kash's mother had for years yearned for a daughter as she already had two sons. Kash had heard her on many occasions telling her spouse, sisters, and close friends that she would be the happiest woman is ever blessed with a daughter. The prediction of a Chinese fortune-teller that she would be extremely lucky if ever a girl was born only intensified this desire. The family migrated to Canada in 1988. Yet another son Arwinder resulted from her third pregnancy in Canada. Thus another pregnancy four years later did not brighten hopes. There was resignation to the fact that fate would not favor her and it would be another baby boy. One day Kash, seeing the plight and deep genuine desire of his mother for a daughter, decided to secretly seek the help of the Great Divine Mother without his parent's knowledge. He meditated and emerged through the clouds into the mystical Kingdom of Allah within. The Primal Light shone ever so brightly from behind the Supreme Throne of the Ruh of Allah as She sat in Bliss and Joy. After bowing down and exchanging greetings he asked if Her if She could grant his mother a daughter as she had been waiting for years for this dream to come true. The Ruh of Allah smiled and told him that his wish will be fulfilled. His mother was pregnant with a fourth child. Although Dr. Parvin had determined that she would deliver on March 23, 1994, it was hoped that it would be on March 21, the spring equinox. There were numerous false calls but that day passed uneventfully. And more followed. Just before midnight on April 2, 1994 Kash's mother delivered at the Lakeshore General Hospital, Montreal, Canada. It was a baby girl! It was on Easter, the holiest day of Christianity. The Ruh of Allah not only granted Kash his wish but also made sure his sister would be born on a very auspicious day and hour. Both father and son were aware at that time that both births, one on the most holiest days of Islam and and the other of Christianity were the preordained Sure Signs of Allah. But the father was utterly unprepared for what was in store for him. The next day on April 3, 1994 Kash as usual went to his room to meditate. After about twenty minutes he came out of his room and told his father that the Ruh of Allah had informed him of something. The father was eager to know. Kash opened his mouth to speak, "Papa, Mother said that my sister is an angel . . . ."
The very moment he said these words his father instantly and unconsciously gripped the heart with his right hand and wept uncontrollably. There was no stopping him as the colossal Truth hit him like a mighty tidal wave. Again and again this Truth reverberated from the center of his heart, drenching every pore of his being with vibrations. Wave after wave resonated back and forth as he kept holding his heart tightly and continued crying, as if it would burst open if he let go. It took some time before he could regain his composure. Then Kash explained that the Great Cosmic Mother had also told him that his newborn sister was very pure and innocent. A few days later on April 10, 1994, Kash meditated and made another mystical journey. The Divine Radiance shone ever so brilliantly from above the Eternal Throne as the Ruh of Allah sat in Bliss and Joy. "Sure you should tell them. They will be glad to hear it." All these mystical revelations soon began puzzle the father. Why was all this happening to him? What had he done to deserve such blessings? Why to someone who never stepped in a temple to seek God Almighty? There were so many questions. However, one question urgently needed an answer. If Lalita was an angel then who was Kash? On April 23, 1994, Kash was told to solve this mystery. He bowed before the photograph of the Great Spiritual Mother, raised his Kundalini, and went into fana (deep meditation). He was immediately transported to the mystical heaven within. The Everlasting Light shone ever so brilliantly from above the Celestial Throne as the Ruh of Allah sat in Bliss and Joy. He bowed and asked permission to pose a few questions. She agreed. Kash: "Mother! Who was I in the previous life?" "I am glad to answer you this question." Kash: "Can you answer this question please?" "Okay. You were an angel, and you came down to Earth to help everybody." Next morning, on April 19, 1994, Kash went to meditate again with Shri Mataji. The divine energy of the Shekinah coursed through the Sefirots and took him into the Pleroma, the Bridal Chamber that ancient Hebrews knew existed within all humans. He opened his eyes as he emerged from the celestial clouds of the Kingdom of Heaven. The Supreme Spirit was sitting on the majestic Throne, with the Eternal Light shining above Her. Kash bowed and squatted before Her. He then had a talk with Her. In the course of this conversation the Great Spirit told him that his name in heaven was "Shri," and that both Lalita and he were from the same family living in heaven. On April 23, 1994, at 17:45 hr., after been earlier revealed his own true identity, Kash meditated and reached the Tabernacle of God in his Sahasrara. The Eternal Light shone from above the Eternal Throne as the Ruh of Allah sat in Bliss and Joy. "Of course tell everybody your name is Shri. Then everybody will believe in God!" "This is the first time in history that there are two angels in one house." This revelation of angels on Earth comes from the Ruh of Allah sent to announce the Resurrection. This Sure Sign is sealed by evidence beyond human manipulation, that is their precise birth dates on the holiest days of Islam and Christianity. Only Allah has the power to ensure that His angels are born on the Muslim Id-Adha of 1990 and the Christian Easter of 1994. This information about angels and their preordained births on the holiest days of Islam and Christianity has to be disclosed because Muslims will refuse to believe that it is possible for any human to reveal about Prophet Muhammad, Al-Qiyamah or Allah's Ruh. 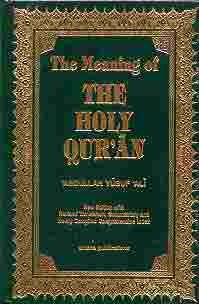 And of utmost importance these extremely sensitive issues must be irrefutably backed by the Quran! It was out of unrestrained joy and bliss brought by the knowledge of their identities and the priceless boons of the Ruh of Allah that this news was poured out. There was just innocence in the hearts of Kash's parents for only fools would be proud of such divine blessings. It was thought that all humankind could share and rejoice in these Celestial Gifts and be filled with hope and joy of the promised Resurrection (Al-Qiyamah). This Good News of the birth of angels and the existence of His Kingdom was told to some Sahaja Yogis, and there were great expectations of collective bliss. After all it was the Great Adi Shakti Shri Mataji Nirmala Devi Herself who had made such miracles possible and presented irrefutable evidence to the human race that the Creator, His Messengers and countless spiritual beings do exist in His Kingdom. However, that was not to be. The initial attempts in 1994 undertaken with only a genuine desire to advance the Truth met with adverse reaction from all, even childhood friends. To all of them it was an outrageous assertion and the work of evil spirits. The strongest opposition came from senior Sahaja Yogis who denounced it outright. The chorus of negativity kept on swelling like mighty tidal waves, cresting, and crashing down relentlessly to subdue and silence the Truth. In the end the whole family became spiritual outcasts for daring to utter a Truth so radical that even the most enlightened of Her devotees rejected it. The whole family were the first heretics at the Dawn of the New Millennium, ridiculed by each and every soul to whom the father spoke. Kash's mother was the most affected and just wanted no one be told of her son's experiences anymore. She began to insist that whatever the Great Divine Feminine was revealing were solely for the family to realize and attain spiritual release. It was not to be told to anyone else, not even the devotees of the Great Adi Shakti.
. Even Kash told his father that no one was believing anything, that they were "just pretending to listen." He advised that it was better to just keep quiet as no one was the least interested in knowing what he had to tell them. However, his father felt otherwise. Such priceless Knowledge could never be just for his own selfish use but for the benefit of the entire human family. Unknown to the family, the very Truth that Kash witnessed was so explosive that the Qur'an prophesied 1,400 years ago it will rock the world during the announcement of Qiyamah (surah 78:1-5 An-Naba)! But Kash's father knew that he had to perform his duty even if everybody — his parents, friends, relatives, and fellow Sahaja Yogis — ridiculed, criticized, or ostracized him. He became resolute and reiterated that he would announce all revelations, given the vast weight of unquestionable evidence, no matter how ridiculous others thought of his claims. It was imperative that he did so and allow the entire human race and history to judge him, and not a few skeptical individuals. He knew that millions were waiting for the Golden Age where "no one is ruled or ruler, where no promise of Heaven offers us false compensation for our present pain, but where we tend together the earth's living, fruitful flesh." These Revelations, precisely for those who rejected the authoritarian and suppressive religious institutions, would free humanity from their suffocating custody and allow every individual to seek their spiritual union with the Supreme Spirit within, transforming them in the process into the new race destined to heal all nations. These Truths had to be told no matter what the consequences. It was a moral duty that any conscientious human would most willingly do. In the end, after weeks of turmoil in the family, there was a compromise. The father agreed to maintain silence and let things take their course, as required by his spouse, provided he be allowed to question Kash in detail and record all of his mystical experiences. He would then wait for the appropriate time to release them for the benefit of others. On April 2, 1995, at 11:20 a.m. Kash was told to obtain permission from the Great Universal Mother to reveal the Truth. He meditated and emerged through the clouds into the Land of Eternal Life. The Primal Light shone ever so brightly from above as the Ruh of Allah sat in Bliss and Joy. After bowing down and exchanging greetings, he asked if She would grant permission. She gave Her blessings with a reminder that this intuitive Knowledge was especially for Her devotees. However, the sustained negativity and adverse reactions from almost all quarters regarding the experiences of Kash experiences began to take its toll. After a few months of writing notes his father began deleting evidence of Kash and Lalita's spiritual identities. To officially reveal to the Sahaja Yogis that they were indeed angels would only make matters worse. This assertion would be regarded as blatant self-advertisement, a shameless bid for grandiose fame. It would be better for everyone if such a preposterous claim be withdrawn. Kash's spiritual abilities could be ascribed to him being just a jivanmukti, a liberated soul. Lalita could be briefly mentioned as the fulfillment of the Adi Shakti's promise to Kash that his wish for a sister would come true. But that was not to be as almost immediately the Ruh of Allah intervened to stop Kash's father from deleting the revelations of their identities. Then She asked if anyone wanted to ask questions. A stream of questions began and again Sri Mataji turned many of them into a joke and got everyone laughing. It felt very luxurious as though we had all the time in the world, that everyone was going to be completely satisfied. Somebody asked Her about Angels and She said that Angels are like the flowers. They are beautiful. You cannot see them, but they are there sometimes working through a human form to help you in many ways." "
Sufism is a very special kind of mysticism, which does not address itself to he who lives outside the world, but, on the contrary, to he who lives in the world and is continuously engaged in daily life matters. Be it an appendix of Islam, or even something prior to Muhammad's teaching, Sufism allows man to reach eternity and to realize himself." So long as you do not realize your nothingness, you will never reach the heights of immortality." The basic premise here is that God reveals himself differently within different religious traditions. Typically an individual will affirm the God who is revealed within his religion, but will reject God as He appears in other religions. According to Ibn Arabi, this denial of the God found in external religions reflects a less advanced level of spiritual development. 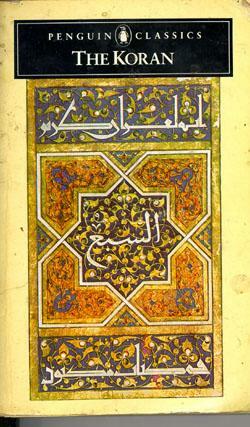 Ibn Arabi maintains that after fana an individual becomes capable of recognizing God's self-revelation in all religions. 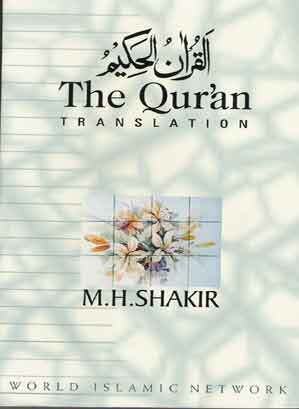 (fana: This has a number of different meanings, but within the passages quoted here it most often means "ego death.")" "That divine Message is summed up in the gospel of Divine Unity, on which the greatest emphasis is laid: "verily, verily your God is One." It is a fact intimately connected with our own life and destiny. . . . There is complete harmony and unity in heaven and you have to put yourselves into unison with it — by discipline in ranks, by unity of plan and purpose in repelling evil, and by concerted action in promoting the Kingdom of God. Here is the mystery of the manifold variety of creation pointing to the absolute Unity of the Creator." Annihilate yourself gloriously and joyously in Me, and in Me you shall find yourself; So long as you do not realize your nothingness, you will never reach the heights of immortality." 3. Abdullah Yusuf Ali, The Holy Qur'an, Amana Corporation, 1989, p. 589.